Coming to this tour, you will have the chance to discover the local market with tour guides. They will teach you how to select the freshest food and prepare some ingredients for cooking. Also, you will have a boat trip on river; you will have the chance to make some souvenirs: hats, necklaces, rings. After that, you will have the chance to catch fish and make rice from Coi Da. Finally, you will learn how to cook the traditional Vietnamese dishes: Rice pancake, Fresh spring rolls, Noodle with grilled meat and Fried noodle with seafood. Tour price: 690.000 vnđ/ pax (Included taxi pick up and drop off at the hotel). Mable Moutains is group of five hills, made of limestone and marble. You will have the chance to discover many caves, caverns, pagodas, many stairs. Monkey Mountain, known as Son Tra, which is home to the beautiful, marble statue of the Lady Buddha. This tour will take you to look at this pagoda where people come to pray. Tour price: 500.000 VNĐ/pax. 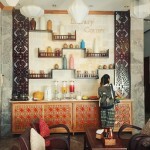 (Included free pick up and drop off at the hotel, entrance fee, tour guide, lunch). Spending 2 hours walking around My Son with tourguide, you will have the chance to see the beauty of My Son in the afternoon. The tourguide will tell you about the history of My Son. 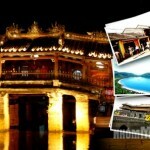 Finally, you will have a private boat to Hoi An, you will enjoy the sunset sightseeing from the boat. Cham Island is known as a heaven. Coming to this tour, you will have the chance to discover many beautiful views. Besides, you will experience snorkeling 2 times and have a look much kind of corals and fishes as well. Finally, you will enjoy Vietnamese seafood lunch on the beach. Included: transport, boat, lunch, tourguide. This trip for those who love to discover rural life, want to immerse themselves into the atmosphere of peaceful, rustic landcapes. You will have the chance to visit Tra Que vegetable Village by bikes. You will be guided the whole process of growing vegetables as real farmers. Saying goodbye to Tra Que Vegetable village, you will ride to Cam Thanh village. On the way, you will have oppoturnity to stop and take many beautiful photos of rice paddies and water buffalo riding. After that, you move to Water-coconut jungle. You can get some souvenirs made from nipa palm leaves such as hats, rings, watches.. The next stop is restaurant. You have lunch with some Vietnamese foods and take a rest there. Finally, you have a chance to cruise along the Thu Bon River by wooden boat. Located 95km away from Hoi An UNESCO heritage site, the national park of Bach Ma is more than 22.000 hectares in site. At its highest point at an attitude off 1450m, you wwill get a great opportunity to experience an exceptional360 panoramic view. Incredible views overlooking the forest, the lake, the various summits and the East sea. A highly experience guide will take you to the various paths that will lead to waterfalls, lake and countless national pools at mountainside. You will access to the highest waterfall, at more than 300m of height: The famous Do Quyen waterfall. The team at the national park of Bach Ma, which was once the vacation residence of the French, have renovated some cottages to turn them into hotel accommodation and one can book a night. The flora is rich of 1406 species and more than 300 species of medicinal plants it is here that an unknown species of antelope was discovered. A dream destination for hikers in love with nature. 19:00: Arrival to Hoi An. Located at 100 km Quest from Hoi An, Cotu Minority also called Ca Tu Or Ca Tang are one of the 54 ethnic groups in Vietnam with 61.500 members. They composed their own songs, dances, weaving and funeral ritual transmitted from generation to generation, what make them very popular. The ethnic people have a very extensive knowledge if the jungle and mountains making it strategic spot during the wars, thatt were seen as keen allies of North. Vietnamese forces during the French and American wars and were universally respected for their knowledge of mountain survival techniques and their sheet tenacity in battle. The Pedestrian Hikes are organized by experienced guides with great knowledge of the ground and history. 18:00: Arrival to Hoi An. 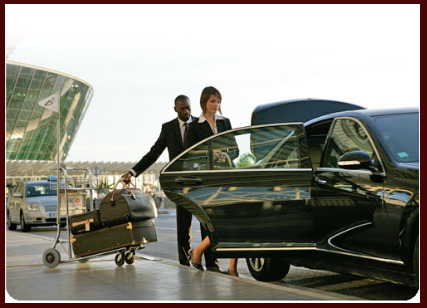 Transfer to your hotel. Leave city, to get some exercise and get back to nature!!! Granite rock, green color and clear water are just a view. How life of Vietnamese countryside will tell you more how to live without material by lovely smile and a sight of local people. After your adventure, in the beautiful Vietnamese landscape and jump into a swimming hole under a waterfall and feel refreshed. 9:00-14:00 Mountain pure paths trekking and swimming. 16:00: Arrival to Hoi An. Transfer to your hotel. 7:30-8:30: The car and tour guide will pick up visitors at the hotel and start to visit Ba Na Hills- King Mountain, also known as the second Da Lat/ Sapa in Central. The beautiful weather here is always cool. 9:30-10:00: You will admire the high by the most modern cable car system in Southeast Asia, visit Dream Stream Cable car Station and see the panorama of Quang Nam-Da Nang City on high. 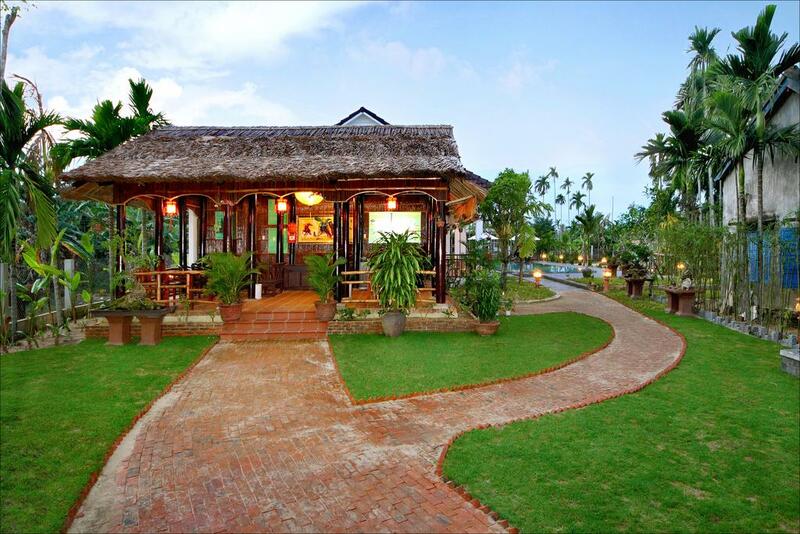 After fishing the first cable car, you will visit France wine cellar, Le Jardin D’amour, Linh Ung pagoda. 12:00: Have a lunch and rest at the restaurant. 13:00: Visit and play game at the Fantasy Park. Explore King Peak at an altitude 1.487m. 16:30-17:30: The car and tour guide will transfer you to your hotel. -Transportation and English tour guide. -Cable car, entrance fee in the Fantasy Park and Apline Coaster. -Travel insurance and mineral water. -Le Jardin D’amour, Debay Wine Cellar fee. -Personal expenses and Services not mentioned above. -Children with height of 1.3meter and than is counted as an adult. -Children with height of 1-under 1.3 meter is children. Children under 1 meter is free( sharing meals with parents). 1.The wet rice farming life experience tour-Half day tour. I will pick up you at your hotel’s loppy around 8 Am by bike. Biking to my Rice Farming Village of Cam Thanh. On the way, you will go through pictureaque countryside roads wuth the rice field, nipa palm forest, shrimp, or fish farm. You will have opportunity to witness local Vietnamese rural life, you can get up close and personal with the daily life of them. Reach my house, be welcome with tea and wet tissues. Following, be explained about the whole process of wet rice cultivation and answer any questions related to farming life that you may have. Then wearing farming clothes, hat before getting into muddy rice field near my house to working as a real farmer with friendly water buffalo, you also have the chance to enjoy a buffalo riding for photo. The next step: local farmer will demonstrate the whole process of wet rice growing with buffalo. Go back to my house, taking a rest and enjoy a glass of passion juice. Then learn how to make white rice. The tour will be finished around 12-1PM. Biking back your hotel. Hotel pick up and return by bike. 2 unit of water and a Passion fruit juice. Lunch with my local rice –farming family. Chidren under 4: FOC and from 5-11 half price. Children rate applies only when sharing with 2 paying adults. Your day will be filled with discovery and surprises: cross immense rice fields, learn the secrets of making the famous woven mats that serve as beds, discover boat builders, making the boats that wind down the river, cross floating bridges, try the amazing basket boat and much more. After your meal, you will set out on boat to return to Hoi An. A new opportunity for you to admire the diversity of the Vietnamese landscape. Floating bridge and ferry tickets. Lunch at a local family house. An early to start witness the busy activity in a fishing villa, when the fishermen bring back their catch and market sellers rush to get the best fish. Learn to see things and anticipate your images in a busy environment. Meet very friendly people and work on portrait photography. Our most popular photography , the sunrise tour is aimed at every level and anyone willing to learn and explore less visited areas around Hoi An. A more relaxed tour is our sunset workshop, where a boat will take us into the peaceful villages outside of Hoi An and where you will get to meet local farmers working in the fields. You will get to spend time chatting with the friendly locals and learn about their stories for interesting and storytelling compositions. The tour will end in Hoi An old town at night where we will practice some night photography in the beautiful ancient town. Boat ride to the countryside. Escape the tourist hub of the own town and take off to explore the stunning countryside and islands that surround Hoi An. Let our guides show you landscapes of colourful village, country and riverside life so remote it’s hard to reach by any other means. Meet the people of Hoi An and see how they live on daily basis, then cross an amazing 300m bamboo bridge, try the local coffee culture and enjoy the unique views on the way to our final destination- a picturesque spot where we enjoy a delicious local lunch. This tour is perfect if you love. Our tour guide are enthusiastic, kindly and willing to share you best place to eat with Hoi An style of eating as well as offer much insights to the street food than meets the eyes. Well, walking around the street and enjoy some foods by yourself. You will discover some hidden Hoi An streets at the back of our tour guides. You also discover a different Hoi An-not beautiful decorating restaurants, not expensive cloth shop… this tour is a delicious and fun way to explore Hoi An just like a local. 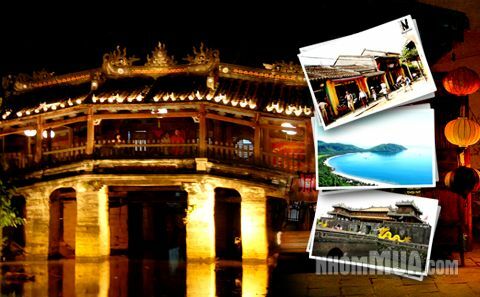 Besides, you will visit to Japanese Bridge-an architectural work and a cultural,historical and geographical vestige of Hoi An. Ticket entrance Hoi An Ancient town.